This story is of Leroy Phillips who was born with sight and lost it during his childhood and yet, managed to see the beauty in the world. He now fights to preserve the good through education. Born in Guyana; Leroy recalls his younger years and his ability to see. An unnatural transition for anyone, he expresses the difficulty he faced in getting adjusted to depending on his other senses and says it took him over 4 years to reach equilibrium. A task no doubt, but he accounts his current life situation to his undying child-like optimism. It is common for someone struck by such a burden to slip into depression; Leroy attests to that claim and recalls telling himself he wouldn’t let that be the case. The young man felt alone, with no peers to share the weight with, none that had experience being visually impaired. He looked for the silver lining and struck gold. In 2006, Leroy learned of the adaptive sport — blind cricket. This began a new chapter in his life, one that put him on track for change. He networked and found inspiration to do more, and through his efforts, he completed his education and secured a university career. It was then, he realized that education for the disabled was lacking in so many ways. The needs of the visually impaired were not being met, and he goes on to explain how the extent of aid he got were lessons in audio format. The teachers weren’t trained in braille (a form of written language for the blind); which only worsened with involvement from family as they weren’t equipped to assist. Learning from his past, Leroy took initiative and decided to be the voice for the unheard as an activist. He did not want to idly stand by as the world continued to cast aside the impaired due to misinformation. Through his life experiences, he’s concluded that most of the struggles were due to the fact that no one was advocating for equal education. He began by participating in the roundtable discussions with the Ministry of Education in Guyana, vying for the development of a better curriculum. He also spearheaded the Young Voices initiative; through Leonard Chesire Disability, as the president. 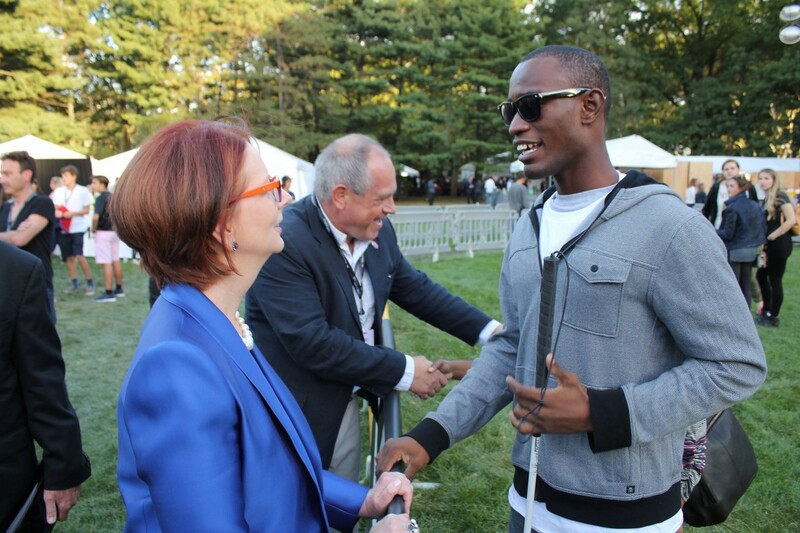 He dedicated his time toward making the country a more inclusive place for those affected by disabilities. Leroy continued his mission in 2011 by taking to the skies by the radio, and advocated his messages through his show ‘Reach Out and Touch’. 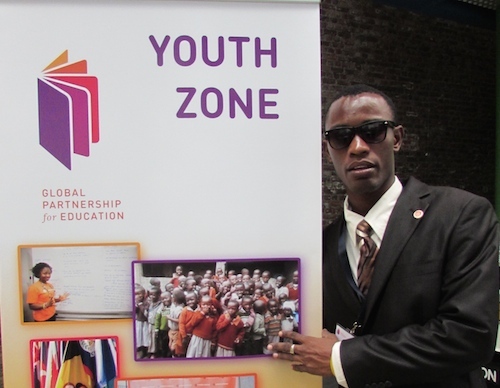 Leroy is now a youth advocate for the Global Partnership for Education and participates in campaigns promoting equal opportunity and access for everyone across the globe. He is a true inspiration to those afflicted, and he hopes to push the world to contribute to change and to be the change.